The GITEX Technology Week is a must-attend game-changing event that takes place at the heart of the global commercial hub- Dubai, every year. 2017 will be the 37th year of this premium convention, where the tech visionaries and the pioneers like always, will come down to meet the first-hand technological innovations that will change the face of the entire globe. ExactllyERP proudly announces the news of exhibiting at the 37th GITEX convention at Dubai. NASSCOM will be accompanied by India’s top 14 small and medium enterprises from the digital sector and ExactllyERP is a proud part of the journey. 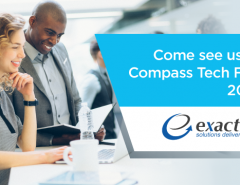 With its unparalleled range of enterprise solutions, Exactlly’s representatives will be showcasing & giving the demo of its Enterprise Resource Planning Software, to transform your organizational efficiency. 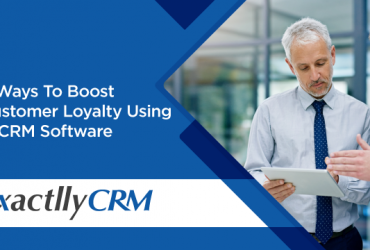 Along with ERP, Exactlly will also be presenting other enterprise solutions like Project Management Software, HR Management software and Customer Relationship Management software. 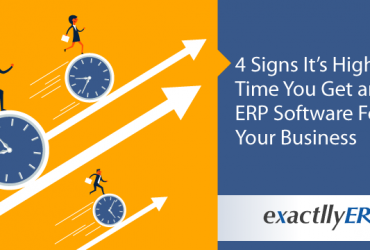 ExactllyERP stands among the top enterprise resource planning software firms of the nation. With its 20 years of experience in this business, and the hard work of it’s of qualified professionals, ExactllyERP has been able to create a huge pool of satisfied customers throughout the world. ExactllyERP serves over 40000 customers globally from across the Industry verticals like Construction, Chemical, Iron & Steel, Logistic, Manufacturing, Retail, School, Textile & more. ExactllyERP offers flexible, scalable and functional solutions. We are all about providing dedicated and industry-specific resource management and planning support to its esteemed clients. Why VR? Revealing the 8 key reasons to adopt VR in education! For the complete list of speakers and topics, visit here.